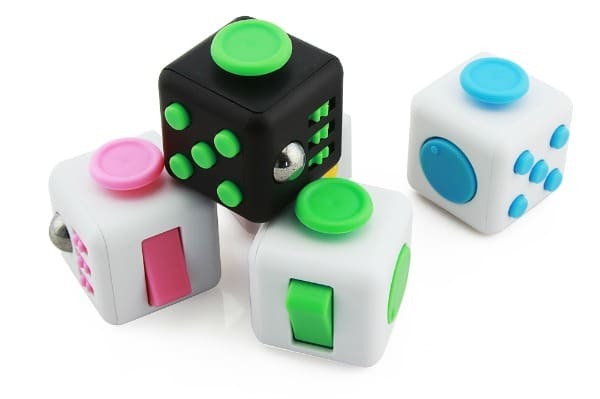 If your child is constantly touching things and fidgeting or seems unsettled in certain places or situations, fidget cubes can assist a child in regulating independently and more appropriately. 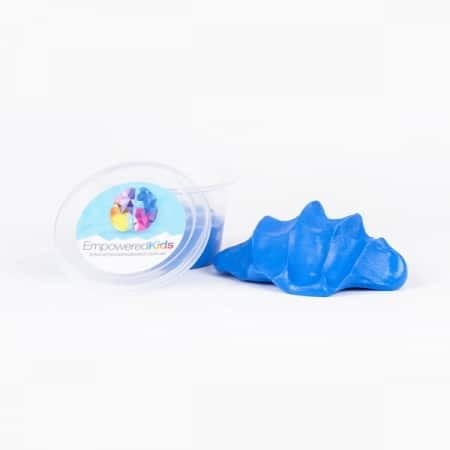 Fidget cubes can be used in addition to other self regulation strategies including fidget kits, sensory tents and weighted items. 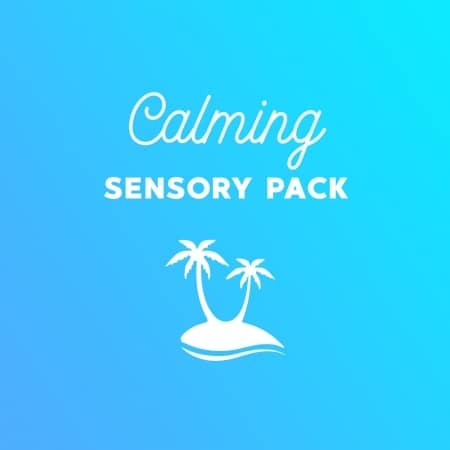 For example a child can have a quiet safe space to retreat and attempt to self regulate more appropriately by using a variety of age appropriate sensory tools. 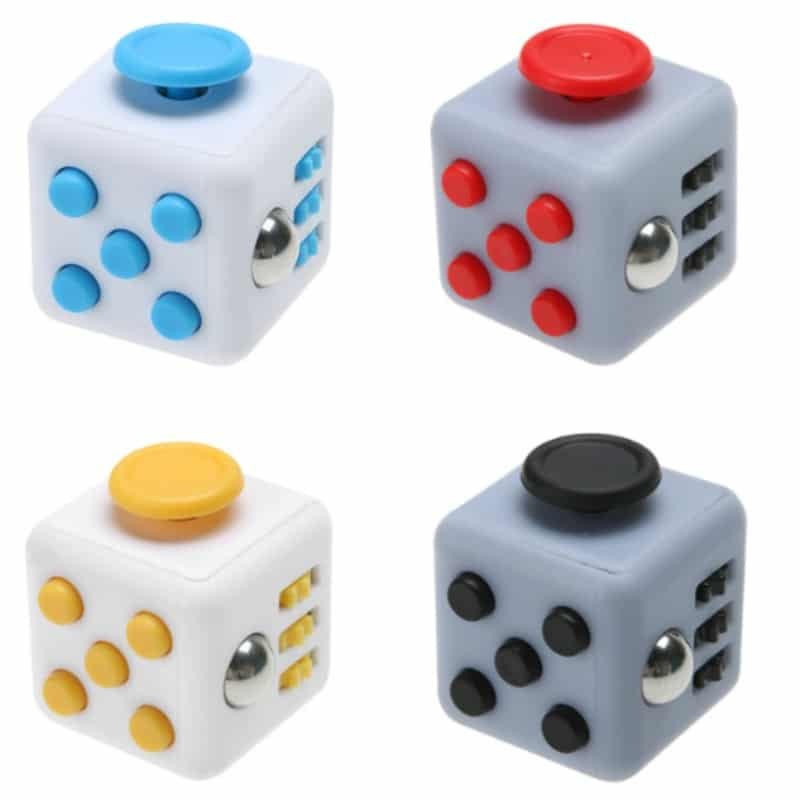 Fidget Cubes are popular with both kids and adults and provide repetitive movement to promote mindfulness and self regulation. 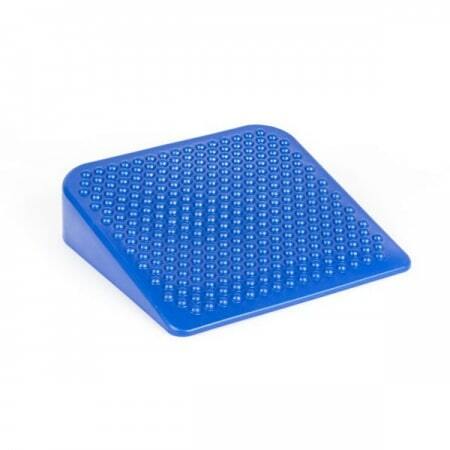 They can be used in a variety of settings or situations. Roll – The ball and gears on the side provide a satisfying rolling movement. Flip – The single switch can be used quietly back and forth or quickly for a more audible click. 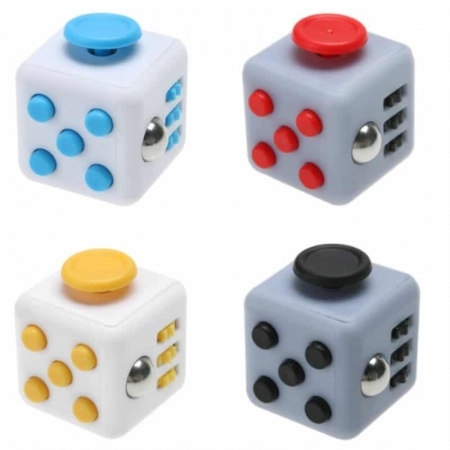 Click – These clicking buttons have been designed to satisfy children and adults particularly those that love clicking pens. There are both silent and clicking buttons. Breathe – The design of this has been inspired by traditional worry stones, tools used to reduce stress and anxiety when rubbed. Glide – The gliding of this joystick can be calming and satisfying for those children that love gaming. Spin – This circular spinner provides a continuous circular movement. 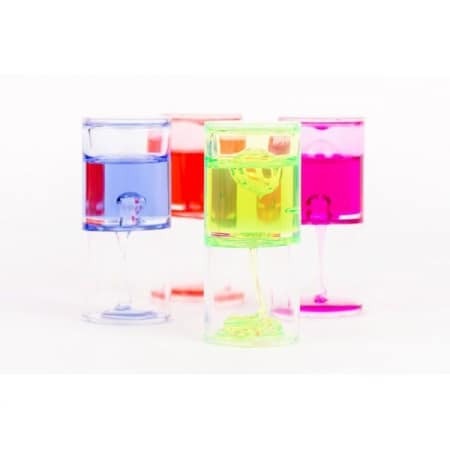 Colours include: blue/white, pink/white, green/white, black/white, black/grey, green/grey, black. (lava ooze timer) Have you filled a bucket today?